Other than a very high humidity level, we had a perfect day of cowboy shooting at the Cavalier Cowboys homestead today. Thanks to BS Walker for writing the match, it was a fun and challenging shoot. Congratulations to Cockroach as the Top Overall Shooter and congratulations to Cockroach, Cold Blue Mike, Kuba Kid, and Virginia Rifleman for shooting clean all day!!!! Someone left a mesh bag with brass and loading blocks in it, the loading blocks have no name but are marked with 32/38 on them. The bag is in the rear storage room at the range, if this belongs to you please contact me or another CR&PC member. See you all next week on Saturday at Pungo Posse and the following 2nd Wednesday, August 13th here at Cavalier Cowboys. The Cavalier Cowboys will be shooting this Sunday, August 3rd, 2014 at the Cavalier Rifle & Pistol Club. The gates will be open from 8:00 till 9:30, registration will run from 8:30 till 9:30, mandatory safety meeting at 9:45 and the match itself will begin at 10:00. The cost is $15.00 for non members, $25.00 for couples, $10.00 for members of CR&PC and as always shooters 18 and under shoot free. We will be shooting in both bays and shooting the match straight through with no lunch break. There will be a Texas Star, shot with the rifle on one stage. The stages have been written by Major BS Walker and are attached in both PDF and MS Word formats. We had a great day of cowboy action shooting today at the Cavalier Cowboys homestead. I would like to thank all the cowboys who came out and shot the match, helped us put everything away and enjoyed a fine meal prepared by Chef Windhorse. Congratulations to Cody Maverick as our Top Overall Shooter and too Cody Maverick, Cockroach, Striker, Prairie City Slim and Virginia Rifleman for shooting clean all day. Update on our upcoming Wednesday Match on July 9th, 2014 — Because of the possibility of very hot weather, we will send out an update on Tuesday evening for the match on Wednesday, so please check your email Wednesday morning before coming out to the match. 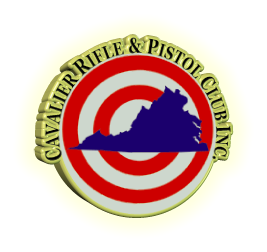 The Cavalier Cowboys will be shooting this Sunday at the Cavalier Rifle & Pistol Club. The gates will open at 8:00 am, registration will run from 8:30 till 9:30, mandatory safety meeting at 9:45, and the match itself begins at 10:00 am. The costs is $15.00 for non members, $25.00 for couples, $10.00 for members of CR&PC and as always shooters 18 and under shoot free. The stages have been written by BS Walker and are attached in both MS Word and PDF formats. We will be shooting in both Bay #1 and Bay #2. We will shoot 6 stages straight through. There will be tent shelters and fans setup to help with the heat and we will have ice water and peanuts available on the range. Everyone is invited to join us after the match for our “4th of July – Cowboy Potluck Cookout”!!!!! You do not have to shoot the match to attend the cookout and you do not have to stay for the cookout to shoot the match, but we would love to have everyone join us if possible, even for a few minutes. We have asked for who was coming during the last month in order to plan for the event, but everyone is welcome regardless of if you have responded or not. The Cavalier Cowboys will be supplying the hot dogs, hamburgers and all the fixings. We ask that everyone who is coming to the cookout bring something, a side dish, a desert, anything to contribute to the “Potluck”. We have a list of the web site of what people have already said they were bringing, but that is just a guide, bring what you want. I suggest everyone coming bring a folding chair to sit on and their favorite cold beverage. We will have some picnic tables available for folks to use but bringing your own chair assures you of a place to sit. We will also have some of our favorite cold beverages to share with everyone but bringing your own assures you have what you like. For anyone coming to the cookout after the match has started, the plan is to have the gate open all day but please take my cell phone number with you (listed below) or make arrangements with another CR&PC member as a backup, in case the gate gets closed without our knowledge. If there are any questions, please let us know, otherwise I look forward to seeing you all on Sunday.